I love plushies; I loved them when I was a kid, and I love them even more as an adult. Currently, my couches are covered in plushies. My roommate complains about the lack of available seating, but each plushie makes me happy. And so when I began watching dramas several years ago, I was immediately drawn to the adorable plushies the main characters would often have. Like the giant cat plushie Tae Gong-shil had in Master’s Sun. Or the enormous sloth Kang Joo-eun used as pillow/bed in Oh My Venus. 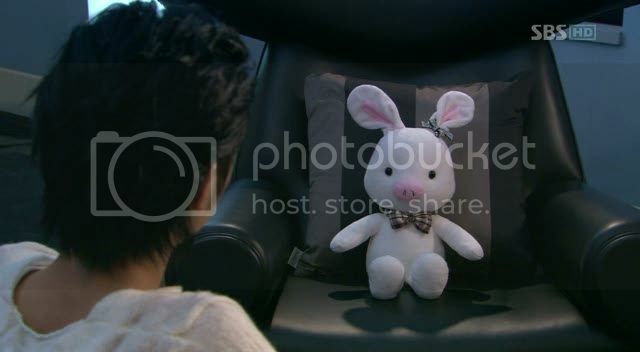 But before those dramas, the first drama plushie I really wanted to buy was the pig-rabbit from You’re Beautiful. Not only was this one of the cutest plushies I had ever seen, it was also a focal part of the storyline. In case you haven’t watched the drama (go watch it, crazy person! ), the heroine, Go Mi-nam, is always making a pig nose at the hero, Hwang Tae-kyung. The reason she does so is because her manager told Mi-nam that there was a pressure point at the tip of her nose that would help alleviate her feelings (lol). As Tae-kyung had no idea what Mi-nam’s actions meant, he would become very annoyed with her whenever she did it. When he does find out why, the scene is so adorable and heart-stopping! Tae-kyung can’t find just the right plush in A.N.JELL’s mountain of plushies for him to give Mi-nam, so he does surgery to create the perfect gift, which is one of the funniest moments of the drama, right behind the pig chasing scene (more pigs!) and the fan fiction scene. Throughout the drama, this pig-rabbit is used as a sort of surrogate of the other character. Mi-nam would often talk to her pig-rabbit plushie and when Tae-kyung was upset with Mi-nam, he often took it out on the poor plushie. So for me, I wanted to buy the pig-rabbit not just because it was freaking cute, but also because I wanted it as a sort of memory of the drama and my experience watching it. I wanted to be able to hold the pig-rabbit in my arms as I rewatched You’re Beautiful or to be able to talk to it about my feelings like Mi-nam (I swear I am a normal person, peeps). But alas, I was a poor college student and so I could not afford it. So my first drama-induced purchase did not come until very recently. I was watching a drama called Hwayugi. I was watching it live, which I never do because I pretty much exclusively watch dramas with happy endings. But I could resist Lee Seung-gi for only so long. As the drama went on, I began to see the impending doom of a non-happily-ever-after ending. Every week was a nail-biter as I stressed about the ending of a show that I was really loving. I would glance through javabeans and girlfriday’s recaps while I was waiting for subs because I had to know what was happening. And then the end came. I had just finished watching Episode 15 when Episode 19 had aired the day before in South Korea. I was absolutely desperate to know what had happened! Would there be glimpses of a possible happy ending or just plain old despair? 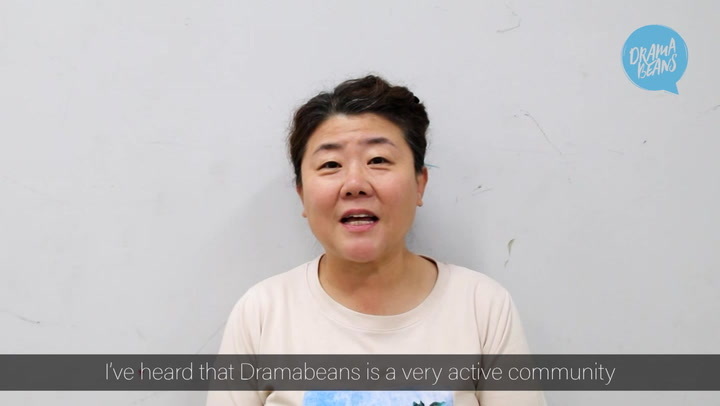 But the recap hadn’t yet posted on Dramabeans (because you know, this stuff takes time). So I googled, just looking for anything, even just a few comments. I found a blog (I can’t remember the name of it) and that blog had a link to the plush monkey from Hwayugi. I, of course, clicked on the link because I love plushies and all things cute. I stared at the little cranky monkey, and I saw my hopes for the drama, the sadness of the drama, my experience watching it, and its cute little face. And so, I clicked buy. A couple of weeks later, my own Yook-gong arrived to join the army of plushies on my couch. While I am not 100 percent happy with the ending of Hwayugi, I do not regret buying Yook-gong. It reminds me of my experience watching Hwayugi as I fell in love with the characters, became invested in their relationships, and rooted for them as they fought against their future. I am sure that down the line, I will make more drama-induced purchases, especially plushies. But I don’t feel that these are frivolous (well, not entirely) as they are representations of my memories and experiences. Now excuse me while I go purchase a pig-rabbit. I am a poor college girl no more! I have Yook Gong, Chil Gong and Pal Gong!!! when I read the title I immediately thinking of Kim Sam Soon! Glad I'm not the only one who remember that nostalgic drama! It's my favorite drama of all time! Definitely watch it! I was the same, actually. I tried watching it like last year but changed to watch something else instead perhaps around episode 10.. I clicked on this post because I thought the plushie on the thumbnail WAS the piggy plushie from My Name is Kim Samsoon lol. Truly iconic. P.S. Due to my addiction to YB, my username to almost everything back then was "piggyrabbit" AND my alarm tone was "Promise" by A.N.Jell. Ohhh the nostalgic memories. You should watch Love Rain. It may not have the best reviews but I love it. It’s so pretty to watch too. I did too. But it just didn't have the same impact as YB for me though. I have one plushie, but not really inspired from my drama watching. It is a huge dolphin plushie, which reminds me of Junsu of JYJ. Old idol fans in here would know that Junsu is often called dolphin because of his high pitched voice, and he even has multiple of the plushies at home. So when I found one, I immediately thought of him and bought one. Ah, now all I need is for him to be discharged from military service so that I can be a full-blown fangirl all over again..
OMG! I don't even remember there were plushies from Secret Garden! I guess I was blinded by the sequin tracksuits. OMG!! I loved the Pig Rabbit. Hence my avatar. You're Beautiful also made me really want to buy my own Pig Rabbit and then to attach my own hair pin onto its ears. Ahh the memories. I guess this post really brings us to a trip down memory lane. Yes. The drama seems so long ago. YAB is so so wonderful drama and while reading your post i just want to rewatch it. it gave me all sort of feels that i was head over heels for it for a very long tome after finishing it. Preferably K-dramaland? Then you could meet your own handsome chaebol, get married to him and forever be able to afford pig rabbit. Ofc you have to fight the evil Mother-in-law first as well as beat out stiff competition from the malicious second lead - but so what? I'm certain You From Another Land could do it! Gosh. Ordering one pig rabbit has gotten you very far. I should consider it too. I’m so jealous that you have a yookgong at home reporting your every moves to oh-gong! Was sorely tempted to get him and mr buckwheat from goblin. Great read, thanks! This is sweet. I briefly thought about writing about all the k-drama plushies when Yook-gong appeared and I finally found one plushie I need. Still on my list. How about 🐌 from BTIMFL? If anyone finds 🐌 somewhere, please tell me. I will pay an arm and a leg for it. I’d probably be even worse at popping balloons than Se-hee, so winning it fair-and-square is out of the question unless I enlist Ji-ho’s help. That one is not available? What a pity. "I wanted to be able to hold the pig-rabbit in my arms"
I love LOVE plushies! The bigger, fluffier & softer, the better! I love them so much that when I go to malls & such, I make sure to go to the kid's stores & spend time in the plushie section XD Its like therapy, haha, I hug the life sized plushies while kids stare at me. XD And then I walk away like it's no big deal. Well while reading these posts about Drama Induced Shopping, I just realized that I actually chose my car because of Coffee Prince!!! XD It just became my dream eversince I saw Eun Chan having the time of her life riding in Han Kyul's Mini Cooper. At this point, I guess its normal that I have lots and lots of kdrama merch and plushies too (YB's Pig Rabbit, Goblin, Miho's Chicken Leg!!) and I make sure I have supplies of my Korean snacks and noodles ready whenever I crave them while watching Dramas. Oh the things you make me do Dramaland! My profile pic on DF is a pig-rabbit. Ahhh the memories. So glad someone else like plushies. :D I am 27 and still carry around my dolphin plushie around the world. People who give me weird looks can sue me, I don't care. So, three plushies from Goblin are in my entertainment center, and I see them daily. So what if they clash with the minimalist Asian style of the house, I can always say they belong to my kids! Lol! This was a very cutely appropriate write up? That was supposed to be an exclamation at the end there! I may have also bought myself a pig-rabbit plushie keychain. Super cute. The pig-rabbit is the mascot of DramaFever. And when they (unjustly) fired me (after being bought out by Warner Bros.) I can't even watch "You're Beautiful" without being annoyed. But I think I'll buy me a Mr. Buckwheat. (Or maybe a big stuffed chicken drumstick, like from My Girlfriend is a Gummiho. Or Doolie and his girlfriend (Doolette?) from Master's son? ANYTHING but that pig-rabbit. omg, I had forgotten this. After MGIAG, my best friend (it's one of her favorite shows) got us stuffed cat toys that are drumsticks. I laughed so hard. Aw! I love all the plushies too! I've had to hold back from getting the sloth, a Goblin (got a t-shirt instead), and a Yook Gong (used him as a wallpaper on my phone). LOL! I love this! The plushies are my favorite as well ~ though, since I’m broke I improvised and made my own Yook Gong and Pig Rabbit, because my favorite hobby is making toys while watching dramas! And thanks for the chance to talk about an unusual kdrama related plushie I have, a gift from my best kdrama watching pal. It's a 10" Hello Kitty that is dressed as the Prince-as-Groom in Goong. That's right. Hello Kitty in a purple satin sort of Chosun (male) wedding getup, complete with gat perched on one ear. Our other best kdrama pal got the bride companion in red hanbok. The best part is that they appear to have been Korean McDonalds premiums of some kind because they both have the golden arch logo smack in the center of their sashes. Our friend paid a mint for them on eBay. I have a tiny plushie pig-rabbit keychain that I got on Amazon. It's so freaking cute. That sounds like a cute compromise. It's not huggable but you can bring the You're Beautiful feels everywhere with you! Such a lovely article! 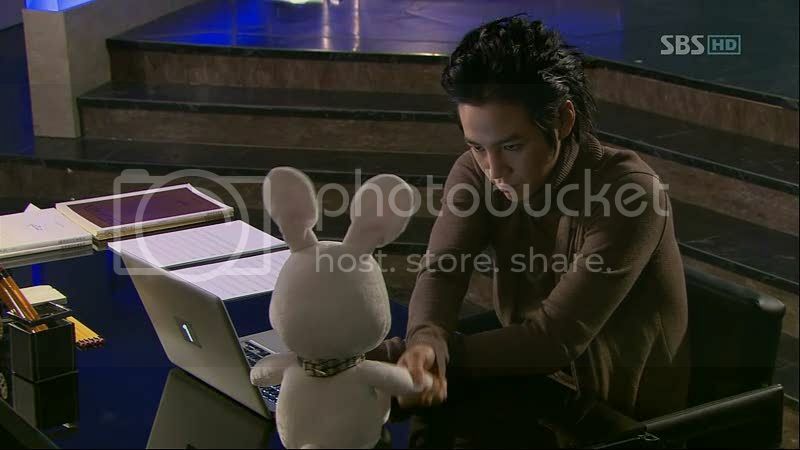 I only recently got hooked at korean dramas that's why might as I want I can't find any pig-rabbit anymore :( YAB is my most favorite kdrama that's why I really, really want to find the official plushie. This was... literally what happened with me. Minami Shineyo was my first obsession (not my first kdrama though) and I remember wanting the pig rabbit so badly! But my first kdrama plushie is... the Hwayugi monkey which has recently arrived to me. I guess we're twinning! Thank you for a lovely post! Now I'm inspired to buy a plushie which looks like Oh Jak Doo.. or Kim Kang Woo or both. same! I totally collect the Goblin and Hwayugi plushies. Was so stoked when I found out that Chil Gook comes with a lot of friends,totally planning to buy them next. Of course my friends are getting tired of me heckling them into buying me the plushies every time they flew to SK. Still looking for Neukkun and Hayang of DOTS. Amazing how k-dramaland manage to make money from plushies as well!